A detailed journey through my design past, present, and hopeful future. Please enjoy. 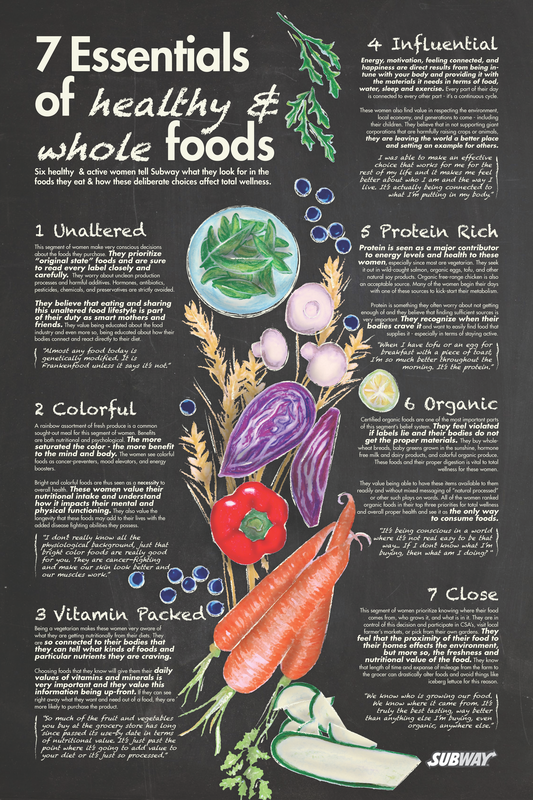 This poster communicates 7 essentials that a focus group looks towards when selecting the foods they consume. Subway will use this research to cultivate new menu options that cater to this particular segment. What is DIN, and why do I dream in it?